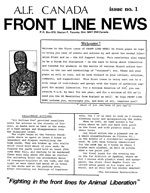 Frontline News was the first in a long run of Canadian ALF support publications, and this rare copy of issue one is the spark that became a flame. From here there would be three more issues, followed by Combat, and then Underground. We have searched the world for this publication and were happy to find it just a short while back, but our timing of this post is something special for Halloween. 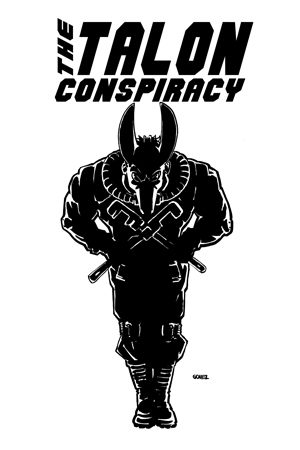 You see, page 1 of this obscure newsletter contains an article about the “Halloween MaskerRaiders.” Their exploits are suddenly relevant and inspiring again more than 25 years later.